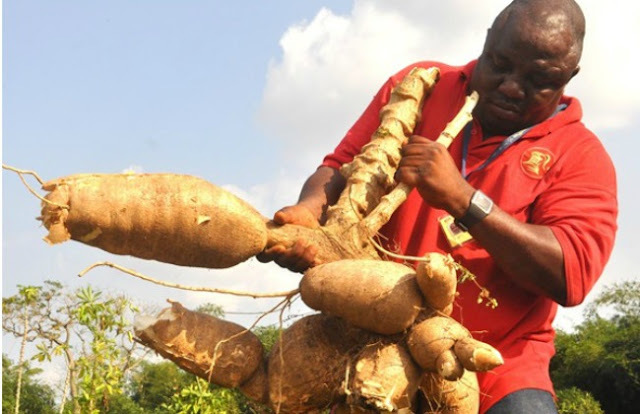 Farming in Nigeria has taken a dramatic turn to better directions in recent years, creating jobs and opportunities for Entrepreneurs who dare to go into farming Business. Millionaires are currently being made every year through Farming in Nigeria and there is no end to the prospects of creating more and more wealth through farming in the coming years. There are good reasons why farming in Nigeria is currently doing very well and understanding these reasons will help any serious entrepreneur (no matter where he comes from) to think seriously about setting up Farm in Nigeria. (1) There is no any other African country where Farming is as viable as it should be in Nigeria in terms of productivity and profitability. (2) There is no other country where farmers are more advantaged as they are in Nigeria as regards demands. (1) Nigeria has a huge population of over 150 Million people, twice more than the populations of Zimbabwe and South Africa combined. The entire population of Nigeria depends on staple foods produced from farms and other farm produces for their daily meals and sustenance — and more than 80 percent of Nigerians buy their Farm Produce from the market. (2) Nigeria has very large expanses of fertile farmlands laying fallow for nothing. Nigeria Land area when measured in sq km is about 910,770. The Land area of any country is the country’s total area, excluding areas that are considered to be water bodies. So, Nigeria has one of the biggest expanse of Land in Africa of which 70 percent is available for Farming. (3) Nigerian Government is seriously turning it’s attention to promoting Farming in Nigeria to help boost food productions in the country and minimize foods importation. (4) Nigerians have very high purchasing power, far more than any other indigenous Africans — we buy things here and we pay cash! Talk about parties, Nigeria is the most merriment people on earth — the foods used for parties and merriment in Nigeria yearly can feed four other African countries. (5) By the time Nigeria attain it’s full capacity utilization is agriculture, Farming in Nigeria will become great foreign currency earner more than as it already is. The implication is that Nigerian Farmers will be able to earn in Naira and in Dollars as well as Euros and Pound Sterling. The prospect for Farming in Nigeria is so high that only a fool will ignore it.